According to Dallas police, former Texas A&M wide receiver Thomas Johnson murdered a jogger on Monday morning by hacking him to death with a “large-edged weapon.” Police say there is no clear motive for the attack. The victim, a so-far-unidentified white male between the ages of 25 and 35, was found shortly before 8:00 a.m. Monday morning and later died at the hospital. Police say that after the alleged attack, Johnson walked to a nearby equestrian center and called 911. Brandon, who happened upon the alleged murder in progress, said he saw the man strike his victim six or seven times with the machete. 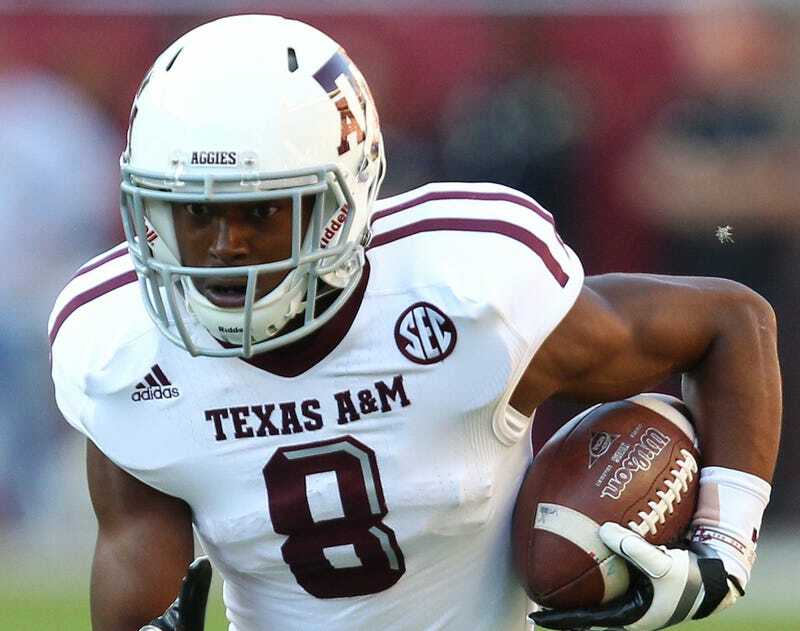 Johnson was one of the highest-rated receiving prospects when he came out of high school, and played 10 games for the Aggies as a freshman in 2012. He disappeared from campus after a game against Alabama, prompting campus police to launch a search for him. He was later found safe in Dallas, and never returned to college football.